Turn your property into a beautifully landscaped home. 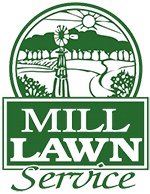 Mill Lawn Service offers personalized consulting and state-of-the-art design for your new project or an update for your property. A certified landscape architect familiar with the Kansas area horticulture provides you a drawing to scale with colorful visuals of the finished appearance. After your approval our staff employees will implement your plans by re-constructing landscape beds, installing trees and plants, annuals and perennials, and other aspects of your final project. Mill Lawn Service complete landscape designs and installations provide an outstanding and unique landscape, build with longevity, functionality and budget in mind. Advanced design techniques combined with the finest quality landscape materials and and an effective and dedicated service staff ensure a high quality outcome of your project.